"Bring Back Colour To Your Life"
Natural sources of iron and calcium offer better absorption and bioavailabilty making them more efficacious and cost-effective. 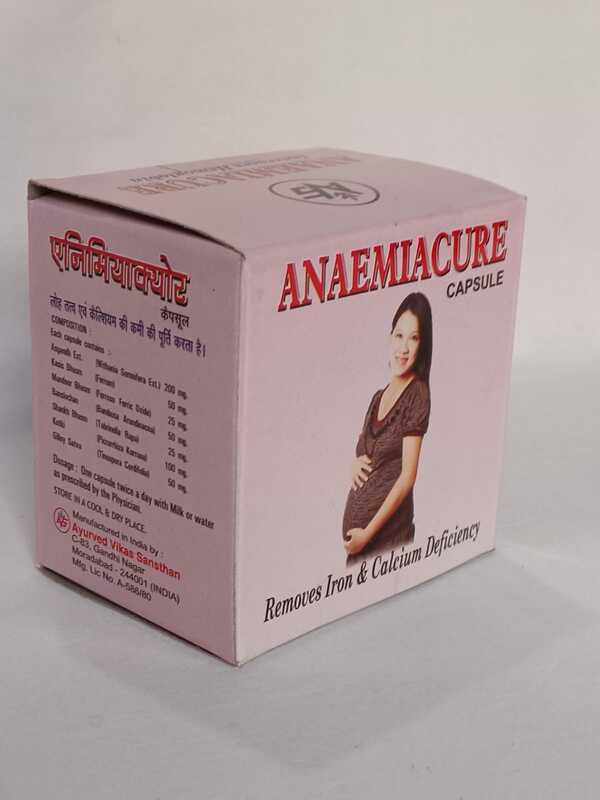 Anaemiacure is prepared from highly efficacious natural souces of iron and calcium mixed together in optimum ratios so as to provide iron and calcium according to the normal daily requirement of the body. The haematological response to anaemiacure treatment is quicker than the synthetic counterparts. Being herbal, it does not cause side effects like gastritis, altered bowel functions and altered taste. It is safe in pregnancy and lactation and is designed to fulfill iron and calcium demands during pregnancy and lactation as well. It is useful in old age and debilitated patients, convalescence, fatigue, malnutrition and anaemia due to other causes. It provides two rich sources of iron 'Kasis Bhasma' and 'Mandoor Bhasma' and also provides two rich natural sources of calcium- Banshlochan & Shankh Bhasma. Shankha Bhasm is known to improve digestion as well. Withania Somnifera extract provides physical power & strength. 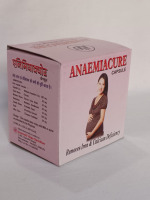 Overall Anaemiacure is an "anti anaemic with a differnence" due to safety, economy & patient compliance. Dosage:- 1-2 capsules twice daily with water or according to requirement.